Bible Cartoons: Song of Songs goes green on Bible Cartoons! 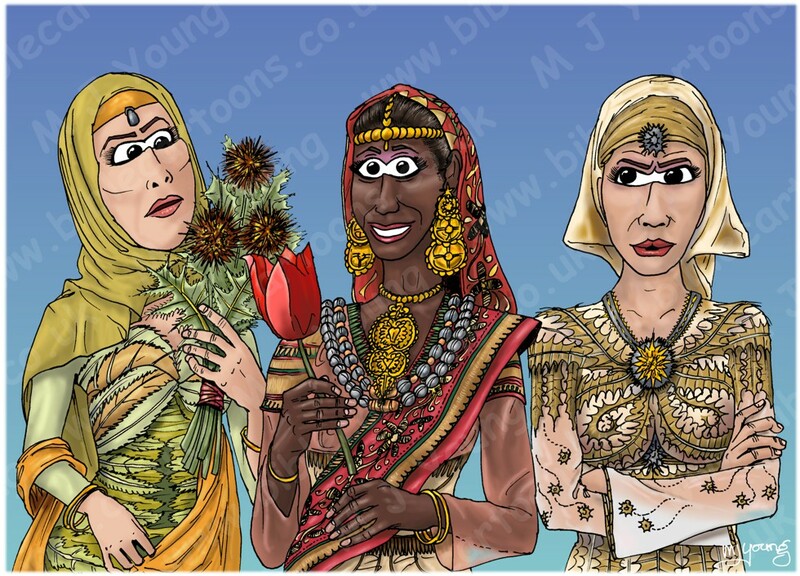 I’ve just finished the very first Bible Cartoon I’ve ever drawn for the Bible book “Song of Songs”. That means that on the website “Search by Bible Book” page, the box which has been red (indicating that there are no cartoons in that book) has now turned green – hurray! This is a conscious effort on my part to try to put at least one Bible Cartoon in the remaining books of the Bible which I haven’t illustrated yet. There are now 13 books of the Old Testament, & a further 12 in the New Testament books that need a picture. Will I be able to do that many pictures (with all the research that this entails!) before the end of the year… watch this space! Beautiful!! You’re doing a wonderful job! !